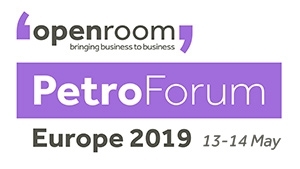 Long-time industry experts OpenRoom, are delighted to announce the launch of PetroForum Europe, an event for the European fuel retail market which will take place on 13-14th May 2019 in Sitges, Spain. The event joins an established portfolio of PetroForums which boast a long history of success dating back 14 years. First established in 2004, the PetroForums take place around the world, with events in APAC, in Africa, in the Middle East and in UK & Ireland. Over the years, PetroForum has built a loyal client list of oil company retail and engineering teams, independent fuel retailers and the world’s leading suppliers of equipment and services. The company is working with key associations and media groups to ensure full industry support. The event takes place on 13-14th May 2019 at the Dolce Sitges, on the shores of the Mediterranean, just minutes from Barcelona Airport and Barcelona city centre. For more details, please get in touch with OpenRoom using the contact form. We, the members of above firm want attend this year's event, so kindly send them a visa letter to acquire visa to attend.